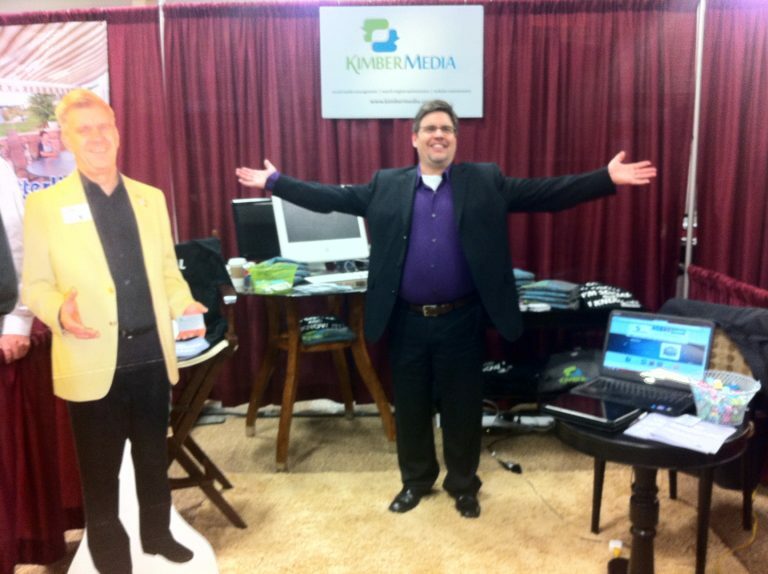 What a blast we had at the Business Showcase on Tuesday (as you can see from Michael at our sister-company KimberMedia’s booth). It’s so much fun to see our clients, friends, and colleagues all in one place for one entire day. We had a blast, as you can see in our Facebook album, and we wanted to say thank you to the folks who stopped by our booth. Dave Hockett of Moresource, Inc.